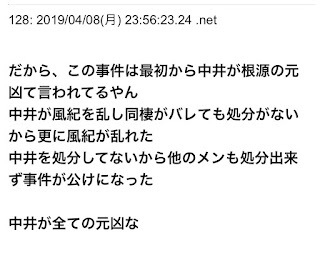 The truth has not been fully revealed in Yamaguchi Maho's assault incident. But the root of the problem at least refers to Nakai Rika who got backed by management back then when it was hit by a scandal, says an NGT48 fan. 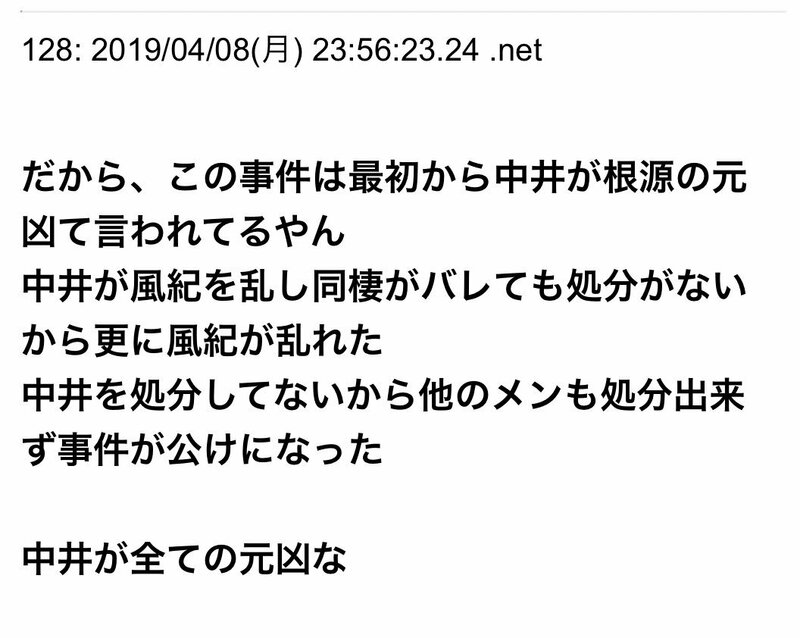 From 2ch: "Looking back, Nakai Rika was the original culprit in the [NGT48 case]. Because she had a live-in boyfriend and wasn't punished even after a scoop, other members had the courage to do the same." "However, the Yamaguchi assault case isn't a simple matter of dating fans. It has to do with mismanagement, bullying, and violence. If we only talk about the dating aspect, then we are helping to trivialize the case. But enough is enough, she (Nakai Rika) is a big problem for the whole 48 Group. She is definitely has to blame but management is the worse thing since they did nothing to Rika." NGT48 are now find the solution to make it done. The first thing they do is disbanding Team NIII and Team G then the members will be separated between 1st generation and Kenkyuusei (2nd gen and draft).